Every artist needs a way of collecting their ideas. Some write notes, others draw – and some have giant blackboard walls on which to sketch out their artistic visions. OK, so we might have stolen that from ‘500 Days Of Summer.’ But what better time to begin a sketchbook than the summer season? 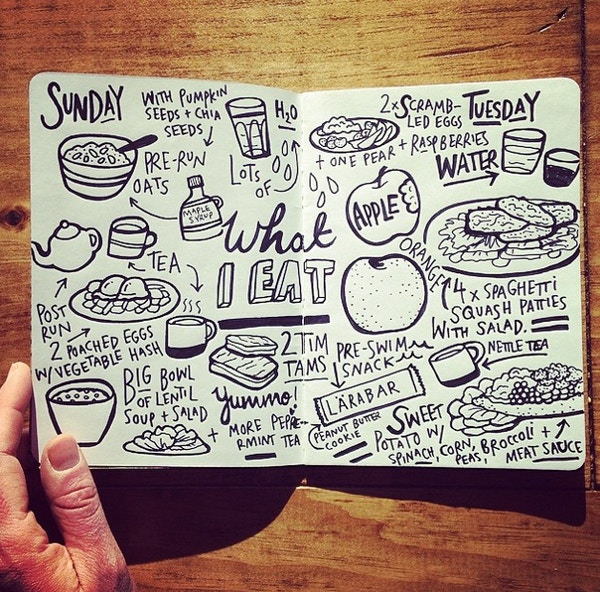 Keeping a sketchbook is an excellent way to collate snippets of your artistic journey. Whether it’s an important part of your thinking process, or just a useful place to keep scraps of inspiration, we’ve put together some simple steps to help you start your sketchbook this summer. 1. Get yourself a sketchbook you really love. All artists love sketchbooks and notebooks. Plain pages, ruled pages, leather bound, soft bound or hardback – they come in all shapes and sizes and you should pick one that suits you. Whether you want a pocket-sized Moleskine to slip into your bag and make notes whenever inspiration hits, or a large spiral bound book to make giant sketches, you should get the one you like best – the one you just can’t wait to start filling. 2. Don’t be precious about filling it. 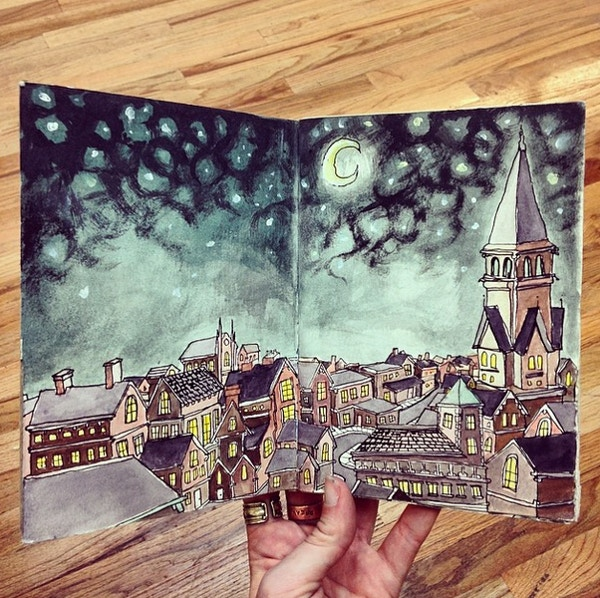 Sketchbooks aren’t made to be exquisite artworks in their own right, though often they are. (The sketchbooks of Da Vinci, though filled with rough drawings, are some of the most beautiful records we have of the master’s hand.) Don’t feel pressured to keep every page pristine. Use your sketchbook as a way of scattering your ideas and thoughts – stick things in it, scribble notes, make gestural drawings and leave sketches unfinished if you need to. Often the most spontaneous pages will leave you with the best ideas. As it’s the summer, use the opportunity to go outside and draw straight from life. Your drawing skills become much more honed if you can study light, shadow and movement first-hand, and you can develop a knowledge of perspective and tone which you would miss if you were drawing from a photograph or static image. 4. 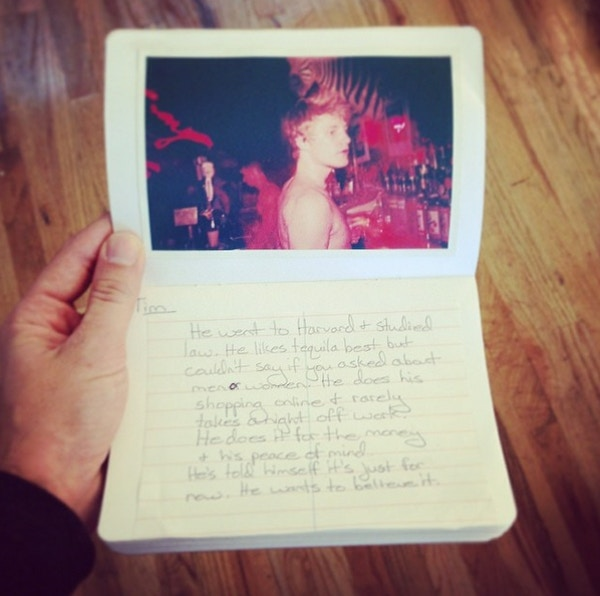 Treat it as a scrapbook. Don’t feel as though you need to use your sketchbook as a means to solely serve your artistic practice. You can use it as a scrapbook to detail moments from your summer – take photographs and stick them in of friends, family and holidays. Collage images of things you’ve seen that have inspired you, and keep leaflets and tickets from your travels to galleries, museums and all the places you visit. You never know what might spark an idea, maybe years down the line, if you recall a moment from one sunny afternoon. You don’t need to feel restricted to pencils just because you’re working on paper. Try watercolour pencils, watersoluble graphite pencils, fine liners and oil pastels – anything that spices up your pages with colour, texture and experimentation. Sometimes the best discoveries happen by mistake, so use your sketchbook as an opportunity to try new things – make smudges, spill water, and think less as you draw. You might be surprised at what you produce. 5. Your perfect sketchbook – click here to see our full range. 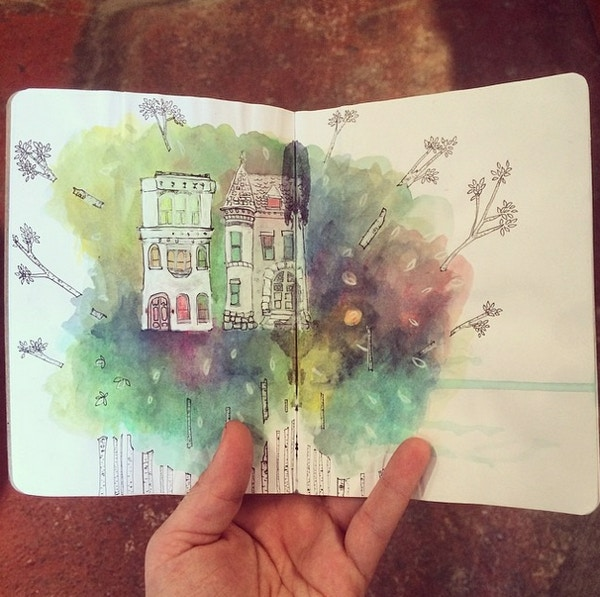 We'd love to see what you get up to with your sketchbook pages. Post your photos with the hashtag #CASSART to show us!